If you were lucky enough to score a badge to Comic-Con International in San Diego, we’re jealous. (Don’t forget to consult our How to Survive San Diego Comic-Con guide.) For those who weren’t as fortunate, we have you covered. From alternative “cons” to live-action versions of childhood games like Pokemon and Oregon Trail, there are a multitude of ways to get in touch with your inner nerd this summer. 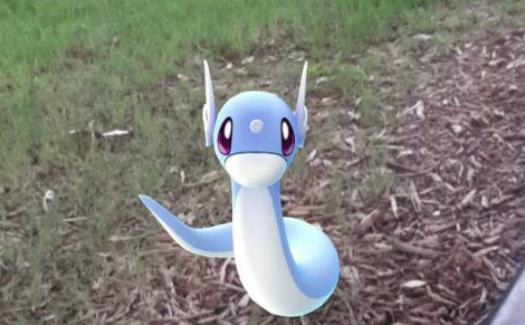 Obsessed with Pokémon Go? Well, grab your Pokeballs and liberate all the caged Pokémon at Lincoln Park Zoo during the There’s Pokemon at the Zoo! Go! event on July 23. Sponsored by the Pokemon Go Chicago Squad, this is one of several events for fans of the free location-based augmented reality mobile game. Gotta catch ‘em all! Celebrating its 30th year on Labor Day, Dragon Con is “the largest multi-genre fan-run convention in the world focusing on television, film, literature, music, gaming and so much more,” according to Dan Carroll, director of media relations. 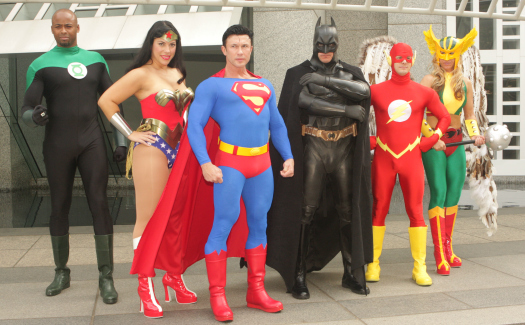 Volunteer-run Dragon Con has 2,300 volunteers welcoming over 70,000 attendees this year. What differentiates Dragon Con from other cons is the Dragon Con parade, the largest parade in Atlanta with 3,200 costumed marchers with 85,000 spectators who line Peachtree Street. “Dragon Con is a four day, 24-hour-a-day event that has both a family-friendly daytime programming sensibility and a late party scene that includes mature programming, parties, dances and other activities throughout the night,” said Carroll. First-time visitors can prepare for the 3,500 hours of programming with the Dragon Con app and downloadable pocket guides. 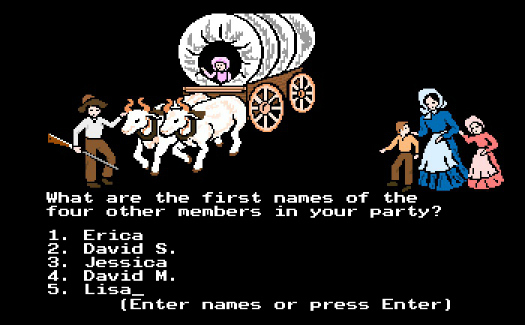 Fans of the original 1970s computer game Oregon Trail can re-live their childhood fantasies in Salem, Oregon at Oregon Trail Live, a humorous live-action version of the game that includes hunting college students dressed as buffalo with Nerf guns, snake oil salesmen and the iconic covered wagon. Teams of two to four players, many donning period costumes, hit the trail for a chance to win prizes like bedazzled cowbells and a Lincoln Logs set. Thousands of “Star Trek” fans are expected to converge on the Javits Center in New York City for the first-ever Star Trek: Mission New York. Guests confirmed include William Shatner, Adam Nimoy, Julie Nimoy, Kate Mulgrew and LeVar Burton. This marks the return of the “Star Trek” fan fest to the Big Apple (the first “Star Trek” convention, which helped spark the fast-growing experiential fan event industry, took place January 21-23, 1972 at the Statler Hotel, now the Hotel Pennsylvania). Trekkies can enjoy interactive exhibits, exclusive merchandise, panels with creators and film stars, screenings and more – all planned to celebrate the franchise’s 50th anniversary, drive excitement for the new “Star Trek Beyond” film opening July 22, 2016 and a new “Star Trek” television series set to debut in 2017. 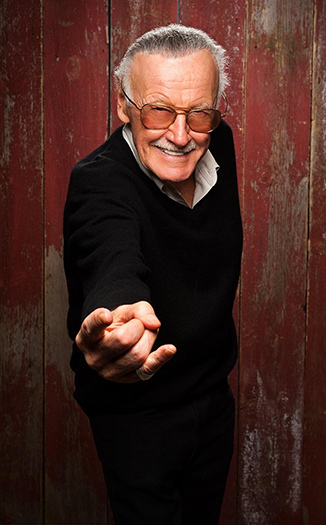 Connecticut‘s Terrific Comic Con (TerrifiCon for short) at Mohegan Sun is three days of fans celebrating comic books, sci-fi/fantasy, video games and cosplay. Attendees meet actors from today’s hottest comic book-based TV shows and movies like Katrina Law from “Arrow,” Camren Bicondova from “Gotham” and Michael Cudlitz from “The Walking Dead” and top comic book writers and artists from DC Comics and Marvel. Like Comic Con, TerrifiCon has dealers of comics, artwork, toys and collectibles along with 50 artists and writers from Marvel and DC comics, celebrity guests and cosplay contests. 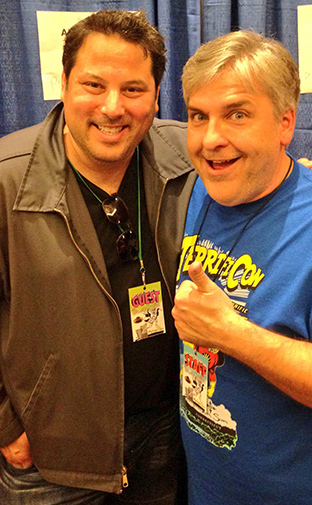 TerrifiCon is an intimate, good old-fashioned con that costs $30 and offers free parking. First-timers are encouraged to dress in costume. Calling all zombies. 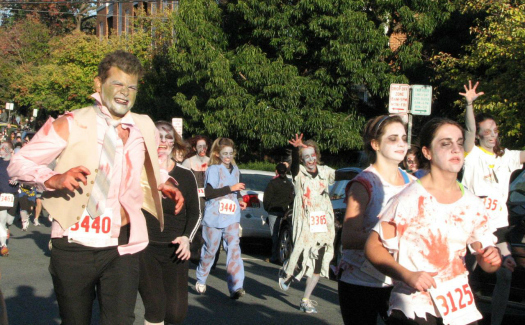 The Zombie Run is a 3.1 mile run through the “apocalypse” that is making its way across the U.S. state by state. Starting at runners’ sole ally Captain Jack Ballard’s camp, the last “safe zone,” runners traverse “infected” school buses, mazes, burned out cars, fire jumps, wall climbs and hundreds of zombies. Runners who run for their lives are awarded with a survivor medal and beer. The two-day FlameCon is a comics, arts and entertainment expo showcasing creators and celebrities from all corners of LGBTQ geek fandom. 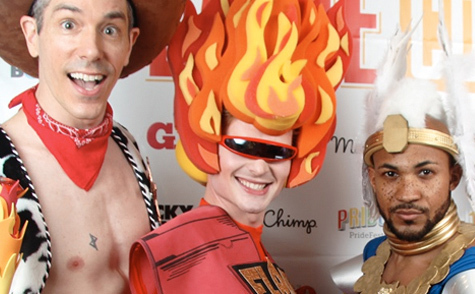 First held in June 2015, FlameCon features discussions, performances, screenings and cosplay. The expo begins with a pre-party on August 19 at The Bell House in Brooklyn, N.Y. This year’s event has expanded to a larger venue, the New York Marriott at the Brooklyn Bridge, and has added a second day of programming. Gen Con is the self-proclaimed “longest-running, best-attended, gaming convention in the world.” Held since 2003 at the Indiana Convention Center, the consumer and trade show is focused on fantasy, electronic, sci-fi, adventure and hobby games. Annually held in August, the four-day event includes tournaments, guest appearances, exhibit hall booths, workshops, seminars, anime, art shows and auctions. Nerd Con is a celebration of creative exploration of fandoms, cosplay, gaming, comics, science and technology, panels, workshops, unique vendors, artists, exhibitors, fashion and fashion shows, live music, live theater, artistic performances, live demonstrations, LARPing (live action role-playing game), storytelling, poetry and fan fiction “for nerds by nerds.” Started in 2014, Nerd Con 2016 guests include voice actor Gregg Berger (of “Garfield and Friends,” among others) and writers like Buzz Dixon (of “G.I. Joe: The Movie,” among others). 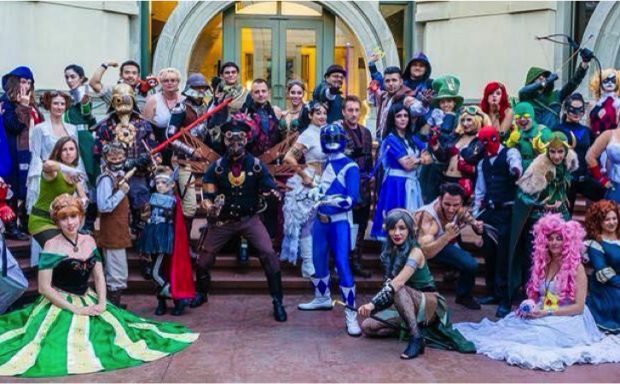 A pass to Nerd Con 2016 starts at $18, less than it costs just to park around Comic-Con International in San Diego and parking at Nerd Con 2016 is free. Penny Arcade Expo (PAX) is an annual show exclusively for gaming. Since the inaugural event in 2004, PAX has expanded to offer PAX West in Seattle, PAX East in Boston, PAX South in San Antonio, Texas January 27-29, 2017, PAX AUS in Melbourne, Australia November 4-6, 2016, and PAX DEV, a game developer event for the dev community and centered around collaboration to prep for PAX West. Fan Expo Canada is the largest comics, sci-fi, horror, anime and gaming event in Canada. Celebrating its 22nd year, Fan Expo Canada has grown from a small comic book convention attracting 1,500 fans to a four-day citywide event that attracts over 129,000 people. To celebrate the 50th anniversary of “Star Trek,” expo attendees can enjoy appearances from original cast members William Shatner, Nichelle Nichols and George Takei. Mark Hamill (Luke Skywalker in the “Star Wars” film series) is making his first appearance at the expo and Stan Lee, former president of Marvel comics, is making his last appearance at Fan Expo Canada. The expo also includes professional comic artists battling in Sketch Duels, “how-to” workshops and photo ops with costume characters. First-timers should consider buying photo ops with their favorite celebrities in advance. Which fan event are you heading to this year? Share with us in the comments.